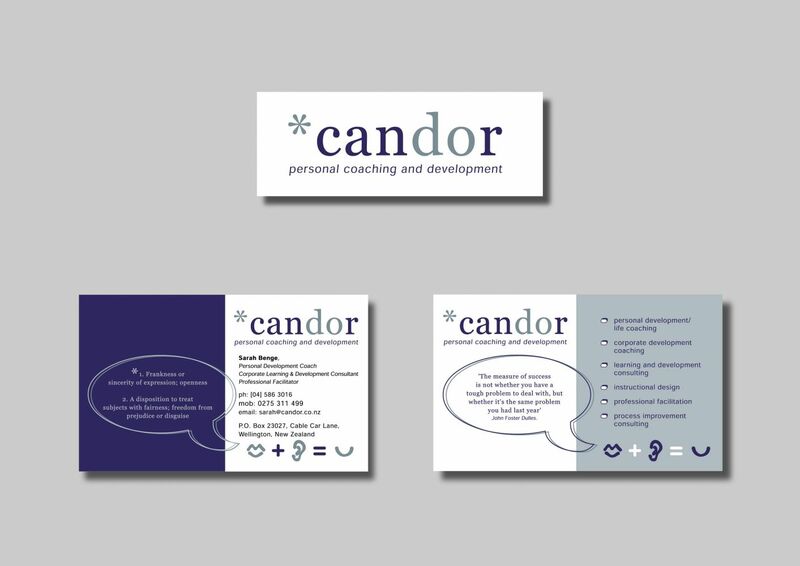 The client had specific ideas on what she wanted the name of her company is Candor which reflect the attitude ‘Can Do’. She wanted linking icons that told the story about what she does which is personal coaching and development. I created the lips + ear = smile icons which I linked to the speech bubbles and quotes. The brands ‘look and feel’ was consistently applied to the business cards.